Initially formed in the late 1970’s, combining folk, rock and jazz players from the Glasgow music scene, New Celeste created controversy at that time with their rock and jazz treatments of traditional music and their fast and furious stage act. The band toured extensively in Britain and then Europe and recorded three albums – ‘High Sands and the Liquid Lake’ in the Netherlands, ‘On the Line’ in Berlin and then ‘New Celeste Live’ in France. After that New Celeste broke up in 1983 and the various band members went their own ways. Guitarist Graeme Duffin joined Wet!Wet!Wet!, drummer Iain Bayne went on to play with Runrig, guitarist Nigel Clark joined Hue & Cry and violinist Rod Dorothy joined Barbara Thompson’s Paraphernalia. In the 1990’s, guitarist and singer Iain Fergus formed a contemporary version of New Celeste with several new musicians, and recorded two new CDs for Lismor/Iona Records in Glasgow called ‘The Celtic Connection’ and ‘It’s a New Day’. These CDs featured new, exciting and original material, blending Scottish and Irish traditional styles with jazz, rock and world influences. This new band has performed numerous live concerts and festivals throughout Europe since then. A ‘Best New Celeste’ CD was released on Park Records in 2004 featuring some of New Celeste’s best tracks from their various vinyl and CD releases over three decades, along with two completely new bonus tracks. 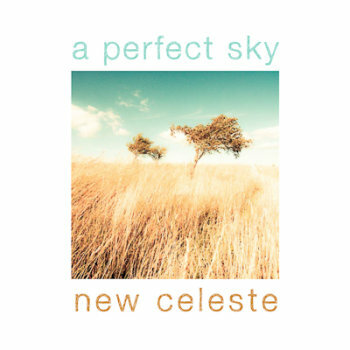 New Celeste is releasing a brand new CD through Park Records in February 2016 called ‘A Perfect Sky’. This CD breaks all the rules about what a celtic/rock band should be and features the hit single ‘Such a Lovely Day’. New Celeste is available to perform at your festival, arts centre or folk club in 2016 – under two different guises. One is the electric line-up of five musicians and the other is the acoustic line-up of four musicians called New Celeste Acoustic.